The number one priority of every parent is the safety of their children. And by sending our little ones off to a preschool, this can be a nerve-wracking experience because not only are our little ones away from us but their safety will be placed in the hands of someone else as well. However, just because your children are away at school, it does not mean you cannot take steps to ensure they are as safe as possible, even when you are not present. 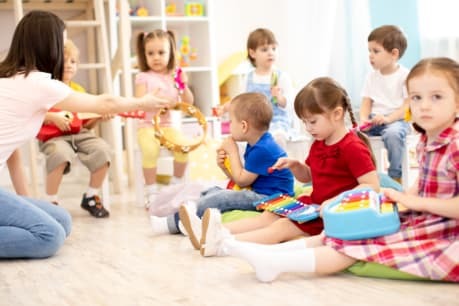 Before you send your little one off to a day care center in New York, it is important to make sure they have your contact information memorized. They should know your phone number, address, and work address. This is so they can tell authorities and they can get in touch with you in an emergency. It is also a good idea to have it written down and placed in an easy to find location such as in their bag or in a pocket in their jacket. Even though schools ask for this information, sometimes their files may not be accessible during an emergency so it is a good practice to make sure your children have it memorized. There is a wide range of useful technology that we can use to keep our children safe. But one of the more useful devices for when your children is at school is GPS tracking. This comes in the form of a wrist-watch. Your child will love it because it looks cool, and you will be able to keep a watchful eye over your little one at all times. There are also a wide range of features you can use, such as setting up invisible boundaries that will alert you when crossed. To make sure that your little one does not go with anyone that they shouldn’t be, it is important to teach them a password. This password should only be known by people you trust the most. It can be used for a number of purposes, for example, if you are unable to pick up your child, you can send someone in your stead. By telling that person the password, they will be able to let your children know it is safe to go with them. Those are just a few of the many things that you will want to keep in mind when it comes down to keeping your little ones safe. If you would like to find out more about safety or about our child care in Bronx, New York, please feel free to get in touch with Tender Years Childcare for more information. This entry was posted in Children's Safety and tagged Child Care, Child Education, Preschool. Bookmark the permalink.